Balancing school and dance: Schedules, cell phones, social life and so much more! Leslie Scott with student dancers. Photo courtesy of YPAD. Dancers are notorious for their drive, stamina and perfectionism. While some focus these tendencies on dance, many others let that bleed into all aspects of their lives. With youth, that largely includes academics, extracurriculars, their appearances and their social lives. 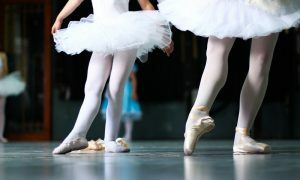 Balancing life can be extremely difficult for dancers of all ages, yet youth can have an even more difficult time with that due to their still-developing brains and other developmental challenges. Here, Dance Informa speaks with Founder and Director of the non-profit Youth Protection Advocates in Dance (YPAD) Leslie Scott and YPAD Advisory Panel Member Katie Gatlin to learn more about this issue. Gatlin, also a former studio owner, dance educator and mental health therapist, shared her belief that it’s important to look at this from a dancer’s perspective. “In adolescence, you’re trying to find your identity, and there’s a heightened awareness of how others perceive you,” she explains. All of this is happening before the full development of the prefrontal cortex, the area of the brain that regulates impulse control and decision-making. At the same time, heightened hormones can run rampant. Small things can feel incredibly important and lead to intense reactions. Gatlin describes how for young dancers, in the midst of all that, there’s a feeling of being pulled in many different directions. There’s the pull toward the studio family, particularly if young dancers have been there from a young age. There’s often a competing pull toward things like excelled academics (AP and IB classes, for instance), athletics, school-based performing arts and other extra-curricular elements. Gatlin also points out how a difficult element can be how these activities can often lead to stronger applications and/or scholarship awards – often not the case with studio dance (recreational or competitive). Photo courtesy of Kate Gatlin. 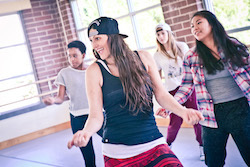 She suggests giving students agency by asking them what they want dance to be for them. This gives a meaningful message that they have the ability to shape the balance of the things that they do in their life. It also helps them to build basic problem-solving skills. “Parents solve problems for their children too often nowadays,” Gatlin says. Scott discusses this difference of external pressures versus internal drives. A significant difficulty with the latter can be the lack of time and mental space we have for reflection and listening to inner wisdom. This packed scheduling in life paired with social media can lead to two dangerous effects in particular. One, because social media “apps” are on just about all of our mobile phones – accessible at any time – teens can see what others are doing while they’re at dance and feel left out. As another, socialization can come to be largely digital. With that, we “lose eye contact, being face to face, things that are so important for building empathy,” explains Scott. Socialization can of course come through time at the studio. Uninterrupted private time for sharing on sensitive topics is difficult to find in the midst of classes and rehearsal, however. Scott describes how our digital life also provides education – in not necessarily the best messages for teens to receive, over and over again as they often do via devices. Leslie Scott mentors a group of teenagers. Photo courtesy of YPAD. “Tech companies target youth because they’re a market,” Scott asserts. “Social media is not inherently good or bad, but how it is used and impacts us can be.” Teens, and in truth all people, can reap the benefits that technology offers while remaining mindful that those offering it might not have our best interests at heart. For this, and many other reasons, Scott and Gatlin both suggest social media “cleanses”. These can be times for teens, as well as teachers and parents, to stop, reflect and hear that important inner voice more clearly. With it truly heard, difficult balances such as that of school, school-related activities, social lives and dance can be created in healthier, wiser ways. Scott facilitates these three-day mindful social media fasts with YPAD Advisory Panel Member Tomi-Ann Roberts, Ph.D., a Professor and Chair of the Psychology Department at Colorado College. Another solution is for studio owners and dancers to have one day when students aren’t at the studio. This offers time for them to attend to other responsibilities and reconnect with family and friends, as well as themselves! Gatlin points out a time difficulty in that recommendation, the fact that there’s never enough time for technique, rehearsal and everything else that needs to happen in studio schedules. Scott asserts that studio owners may find it financially difficult to close their studio for one day of the week but could still make efforts to emphasize time with family and friends outside of the studio. 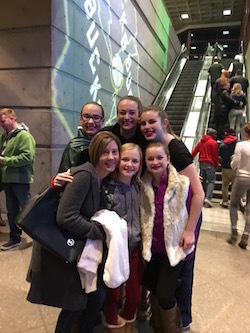 Without discounting these legitimate concerns that studio owners and teachers may have, creative scheduling might allow the hardest-working, studio-as-second-home dancers to not be there one day a week. It could be a weekend day when “baby”, toddler and “Kinderdance” classes run (when those classes tend to work best for busy families). This mindset of taking a weekly rest can also lead students to be more mindful about (or even gain an awareness of) their own self-care. Leslie Scott leading dancers. Photo courtesy of YPAD. For example, teachers and students can also encourage students to do something just for themselves – non-dance related – on this day, as part of that self-care. Or to do something dance-related but not to do with their team or choreography, such as reading about a famous dancer or seeing a favorite professional company perform. They could get caught up on schoolwork, or simply go to a movie with the friend. “Studio owners and teachers sometimes have trouble talking to their students about self-care, because they struggle with it themselves,” Gatlin says. As a starting point for such a conversation, a practical point that can be helpful, as well as quite true – having a fuller, richer and more dynamic life experience can make one a stronger artist. 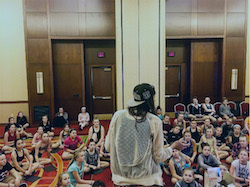 A way, among others, to make this idea more relatable and appealing to dance students is emphasizing connections between dance and what students are learning in school. 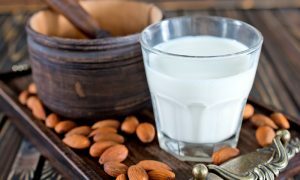 As they see such connections, they might also become more aware of the importance of balancing these areas of their lives – and more adept at creating such balance. The challenges here are immense – yet where there’s a will, there can be a better way.